Add a factory vibe to your interiors with our stunning swan neck wall lamp. 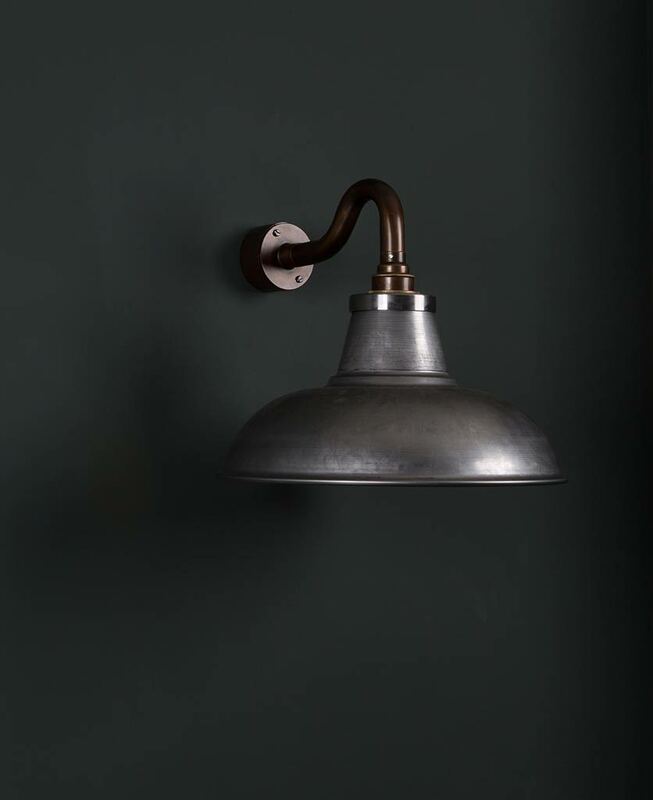 Featuring a raw steel light shade, the industrial finish of this wall light is perfectly imperfect and no two are the same. Watch it rust and tarnish naturally over time creating a stunning patina. There’s nothing more rugged than raw steel, and this swan neck wall light is no exception. Featuring a raw steel light shade, conduit ceiling rose, swan pipe and conduit bulb holder, this burly wall light is perfect for adding an industrial, factory style vibe to your interiors. We LOVE this rustic wall light in a heritage-inspired space. Think dark grey walls, vintage leather furniture and hardwood floors. So sophisticated. 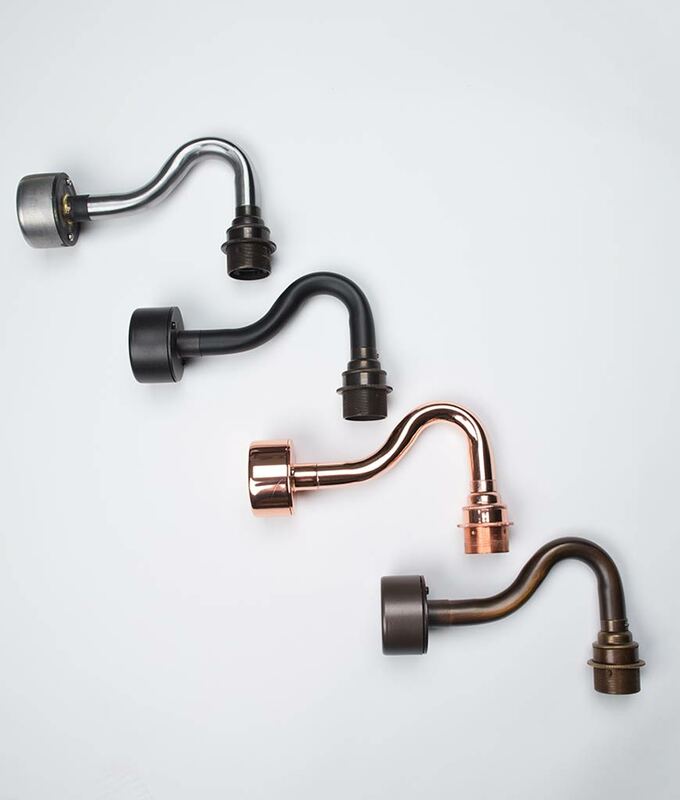 If gentleman’s lounge isn’t your thing, these wall lights also look amazing as an industrial accent in a contemporary space. 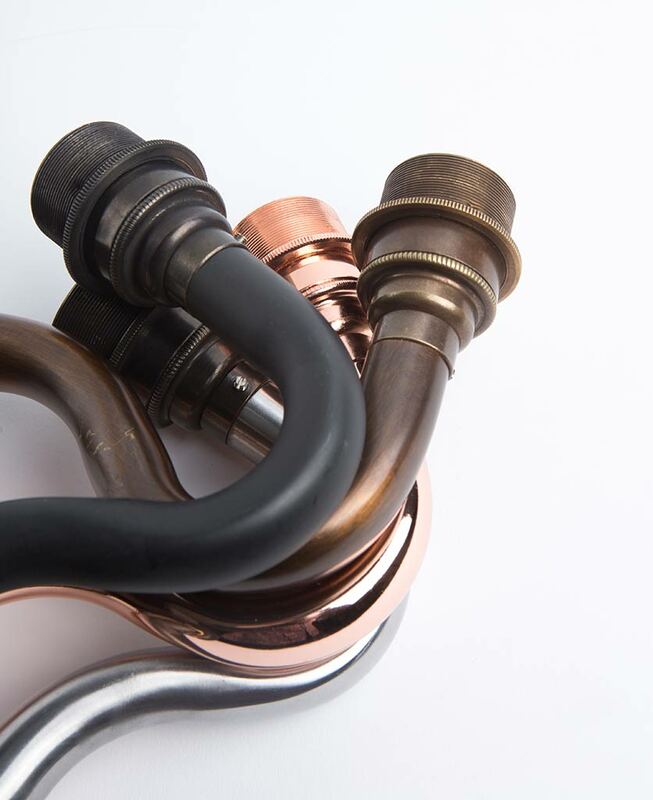 Available in two sizes with a choice of either black, raw steel, copper or antique swan pipe, conduit ceiling rose and bulb holder, there’s one to suit any interior style. 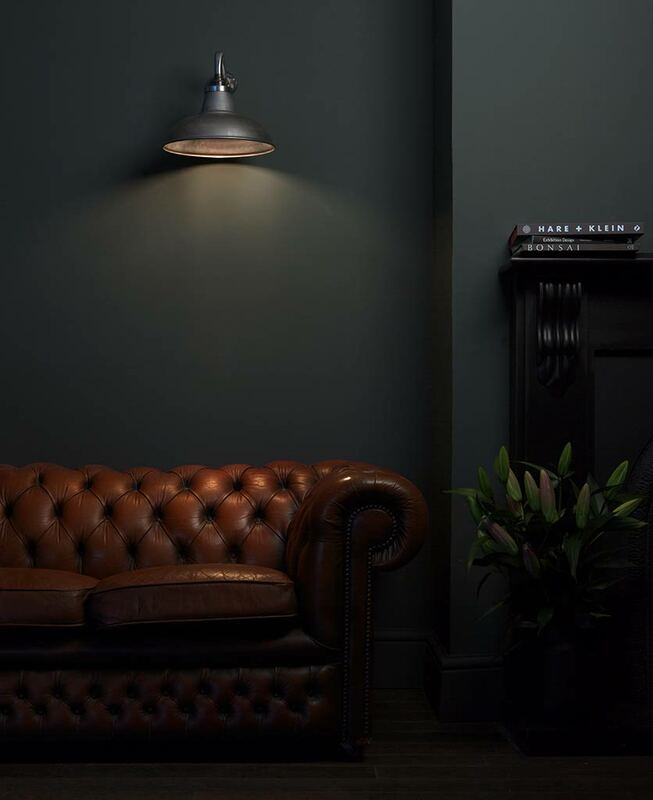 Complete the look with a filament light bulb for the ultimate factory-style vibe. Material: Swan neck pipe with steel pattress box, bulb holder and raw steel light shade. Black – Black swan neck pipe with farrier bronze pattress box, farrier bronze bulb holder and raw steel light shade. Antique – Antique swan neck pipe with antique pattress box, antique bulb holder and raw steel light shade. 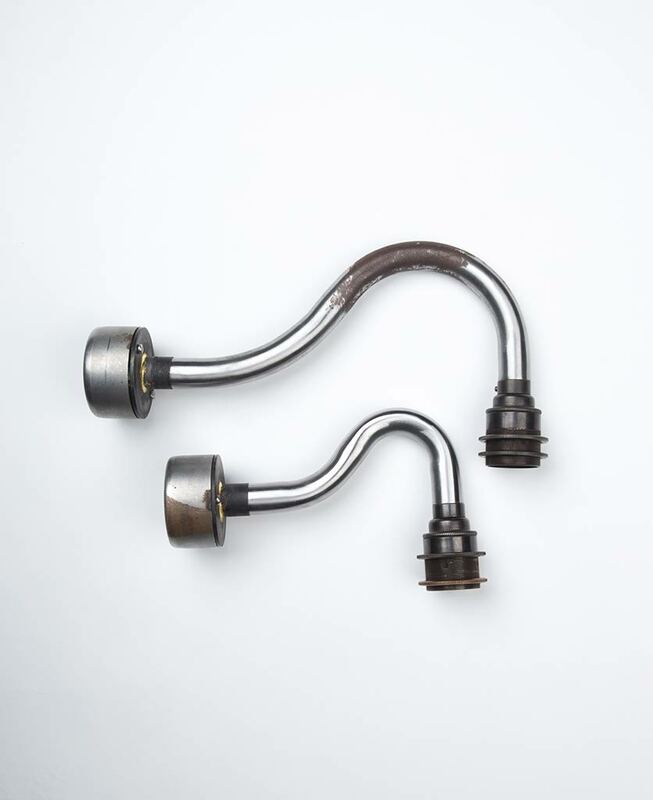 Raw Steel – Raw steel swan neck pipe with raw steel pattress box, farrier bronze bulb holder and raw steel light shade. 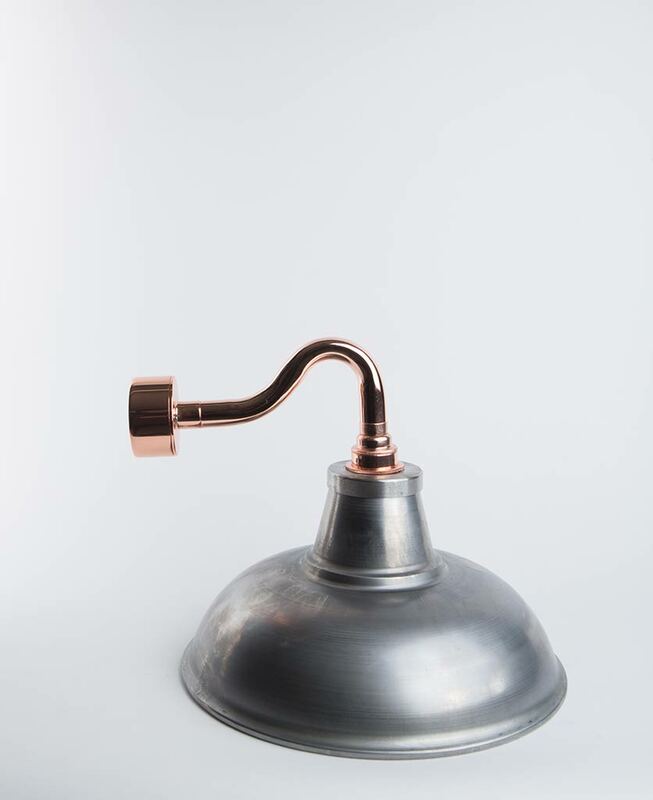 Copper – Copper swan neck pipe with copper pattress box, copper bronze bulb holder and raw steel light shade. 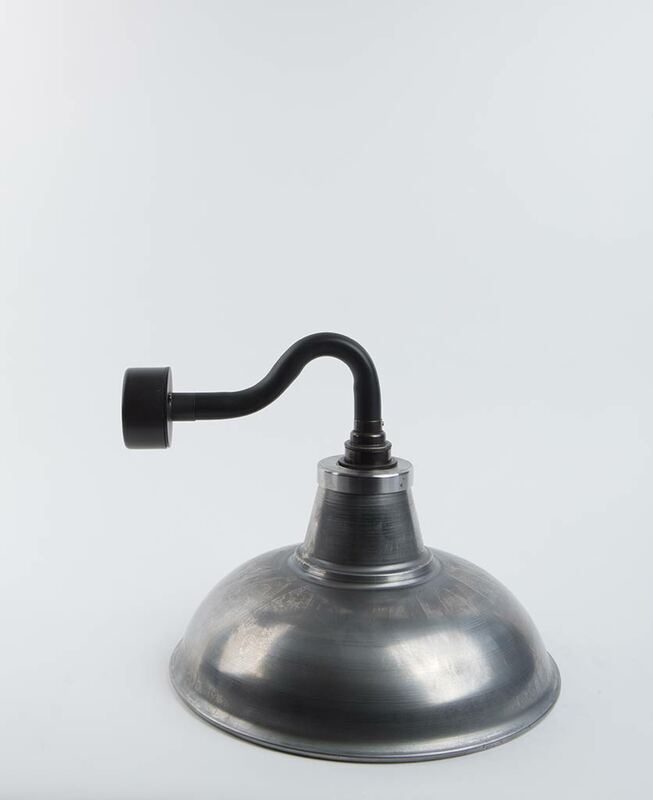 Included: Raw steel industrial light shade, E27 conduit bulb holder, pattress ceiling rose, swan neck pipe, screws & rawl plugs, instructions and connectors.